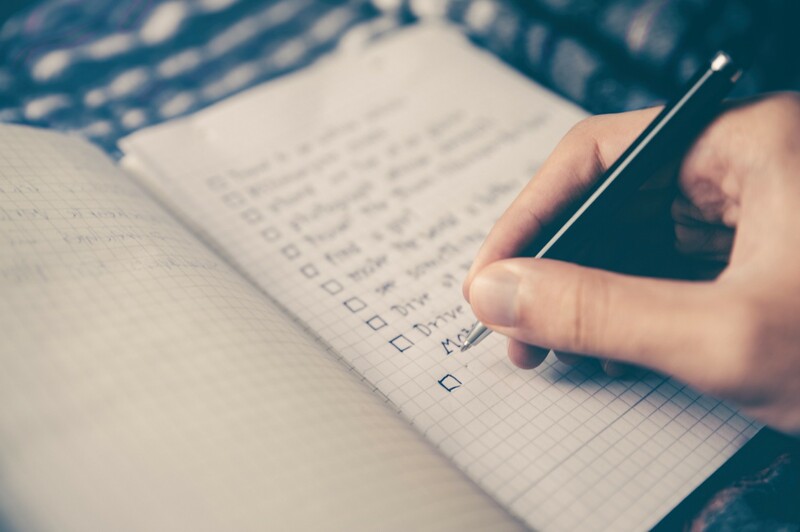 Is it Time to Trash Your ‘To-Do’ List? Simple strategies for working smarter, not harder. Love them or hate them, nearly everybody’s had them at some point. In our fast-paced culture, “to-do” lists have become part of everyday life. And everyone relates to them differently. Some people are list people. Lists work for them. They’re tools that make sure all the i’s get dotted and the t’s get crossed, the phone calls get returned, the dry cleaning is picked up and the right work gets done at the right time. Some people fear lists, or they just plain hate them. Maybe this works for them. Maybe they’re hopelessly disorganized and dropping important balls. Maybe both, depending on the week. Some people, like the coaching client who asked for help with this topic last week, have bought into the idea (and an idea is all that it is) that she should be accomplishing a big fat list of tasks every single day. Some of which are not tasks at all, but full-blown projects with 16 steps. But who’s running this show? You? Or your to-do list? I’ve been all 3 of these people at various points in my life. I finally realized that DO-ing everything all the time was exhausting me, and so I focused entirely on BE-ing for a while. I operated on a “what gets done, gets done” philosophy. That doesn’t always work either, especially in times of life and work transition, when who you are BE-ing is in flux and there are still plenty of real-life things that need attending to. Fortunately, there is a middle way. In fact, there are many middle ways. The one that worked for me was learning to focus my to-do’s around who I am being and becoming– and a larger vision for my life. Life is not the sum of a bunch of tasks checked off when done, and doing 10 things instead of 5 didn’t made me a better person or move me closer to my vision. Does this need to get done today? Which of my values or priorities is it connected to? Be ruthless. Cross off anything that doesn’t make the cut. If it comes back, you can re-evaluate it then. And for the sake of all that will keep you sane, do not write every single thing you do in a day on a to-do list. If it’s part of your regular maintenance and it needs to happen, it will get done somehow. Trust me on this one. Get real about who’s making you do what. If we’re going for honesty here, it’s time to admit that most of the time it’s not other people who are loading up our lists with tasks. It’s us. It doesn’t matter whether our motivation is to be productive, to gain approval, to feel worthy, to distract ourselves from bigger challenges, to honor or build a relationship, or what have you. In cases where you’ve made an agreement with a manager or a family member, you are still the one who made the agreement. You get to choose whether you’ll honor it, or renegotiate it, if needed. Set some boundaries. Put 3–5 items on the list per day, depending on the size of the task or project. Period. Make them important ones. Get them done. Enjoy feeling like you’ve accomplished something meaningful with your day because you have. If you’ve got time and energy afterwards to accomplish other items, go for it. But know that accomplishing a handful of important things every day is actually what’s going to move you forward, wherever your forward might be, in a balanced way. If you’re dropping balls, ask why. Are you exhausted? Burned out? Not all that interested in the first place? Avoiding what really needs doing? Telling yourself some crazy story about needing to do a million things is just a cover. No one needs to do a million things. Busy doesn’t make you better (but it may well make you bitter if you’re not mindful). By asking questions, honoring yourself and experimenting, you will find what works. For you. Trust that. I happen to like short lists, tracking sheets and calendars. They add a loose framework that allows me to be creative and have a freedom of schedule that I value. It sounds like a contradiction, but the framework is the container, and I fill it how I want. That is what works for me. What is it that you want to experience in your day? What could you put in place to create that?